An early morning rocket fired from the Gaza Strip demolished a house in central Israel on Monday, wounding seven people and prompting Prime Minister Benjamin Netanyahu to cut short a trip to Washington. 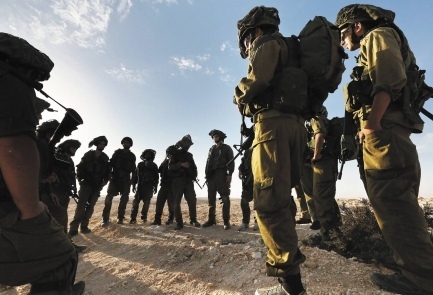 The military quickly mobilized troops and called up reserves, setting the stage for a potential major conflagration shortly before Israel’s upcoming elections. The Israeli military said militants from Gaza’s ruling Hamas movement fired the rocket from one of their launching pads in southern Gaza Strip, near Rafah. Maj. Mika Lifshitz, a military spokeswoman, said it was a self-manufactured rocket with a range of 120 kilometers (75 miles). She added that two armor and infantry brigades were being mobilized to the Gaza front and that a limited drafting of reserves was also taking place. Continue Reading….